When your child is struggling in school, that struggle often spills over into life in other areas, like home and extracurricular activities. Learning is fun. But if you have a child who struggles, chances are that school will become dreaded, which means learning won’t happen. Even worse, your child may begin to withdraw from other activities or be impatient with family and friends. If you have a child who is struggling in school, don’t wait to take action. 1. Talk to your child about the specifics. Is your child having a problem with a particular subject area, class or teacher? Sometimes it can be hard for a child to verbalize the issue. Help by asking leading questions that require more than a yes or no answer. And consider that some kids struggle due to problems with motivation rather than academics. 2. Teach your child to self advocate. Sometimes a child might be afraid to approach the teacher. Make sure your child knows that teachers are not to be feared and that it is okay to ask questions. Do encourage your child to use specific questions and to lead off by asking for help rather than by saying they can’t do something. You might consider doing some role playing with your child to help them come up with questions ahead of time. 4. Assess your child’s study habits. As your child gets older, homework and study time will make a big difference in academic performance at school. Is he making it back to school with all books and homework? Does she have a quiet, organized place to study at home? Perhaps your child needs extra help from a tutor. Be available to answer questions – but do encourage independence. 5. Take a break. Make sure that your child has time to step away from schoolwork to do something fun. 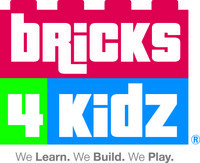 This could be playing sports, taking music or dance lessons, joining a book or chess club, or participating in a Bricks 4 Kidz® after school program that matches your child’s interests. Everyone needs time to pursue their favorite activities and interests. Struggles are part of life. Help your child learn that facing those struggles and asking for help will make all the difference.